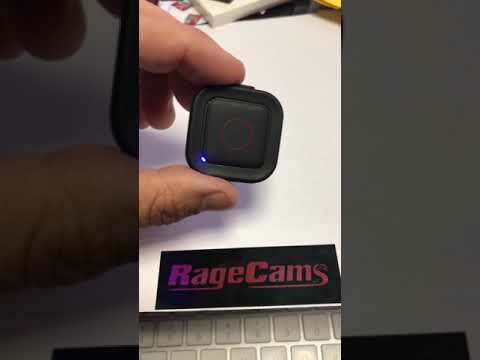 This controller works great line of sight to voice activate your Gopro Hero5 Hero6 Black & Session hero7, & Fusion 360 Voice Activated Remote Working Refurbished with new battery installed & RageCams Modification. Includes all the parts and hem box shown in the photos like it was bought brand new. This was a new remote that had a dead battery and we replaced it with a better long life battery. It is still waterproof also, but we do not recommended it for deep submersion because of the chance of water leaking into the USB port since all it uses to cover that hole is a rubber plug, but it does work . You can also send us your non working remote for a new battery and modification.